Learn more about our full range of landscaping supplies, order and deliver charge procedures, terms and conditions. We will always strive to give the best service and best quality products to each and every customer and potential customer. 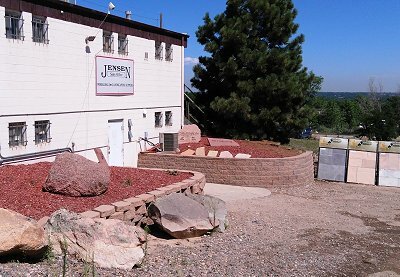 Jensen Sales Company’s motto is “Specializing in Service”. We are dedicated to outstanding customer service and unbending quality of the products we sell. We strive to meet all customer expectations as to quality of service and quality of product. With this in mind we wish to maintain a growing and prominent market share in the wholesale hardgood landscape supply industry.